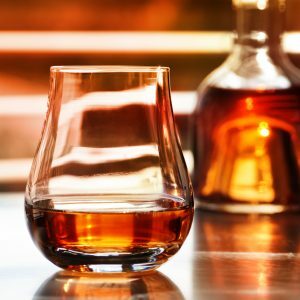 The American Craft Spirits Association, an industry trade group, compared data in the annual report that the rise of craft distilleries in the U.S reached 26 percent in 2017 since 2016. The top five states with the most craft distilleries are California with 148 craft distilleries, making it 10 percent of the market. Amongst the top five is New York which has 123 distilleries, Washington has 106, Texas has 86 and Colorado has 80 craft distilleries. The craft distillery sales margin went up to 3.8 percent in overall alcohol sales within the industry. Craft distilleries went up 2.6 percent in volume and since a case holds nine liters of alcohol, the craft industry case distribution increased to 5.8 million cases in 2017, doubling the 2.5 million cases sold in 2012.